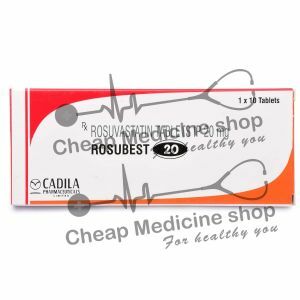 Crestor is a drug having the same salt, Rosuvastatin, as in Roseday-5 and is available in the United States market. Roseday-5 is used to lower bad cholesterol and fats like LDL/Triglycerides and increase good cholesterol like HDL in the blood. It works by reducing the cholesterol made by the liver. Thereby reducing the risk of heart disease, strokes and heart attacks. Roseday-5 inhibits HMG coenzyme, a reductase responsible for the synthesis of cholesterol in the body. Hence, the level of LDL is reduced in the blood. 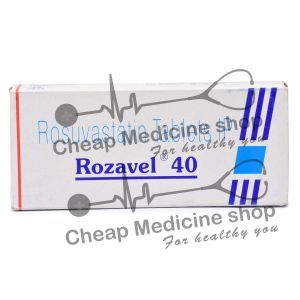 Roseday-5 is manufactured by USV in India and is available at all the leading online pharmacies, drugstores and medical supply stores. 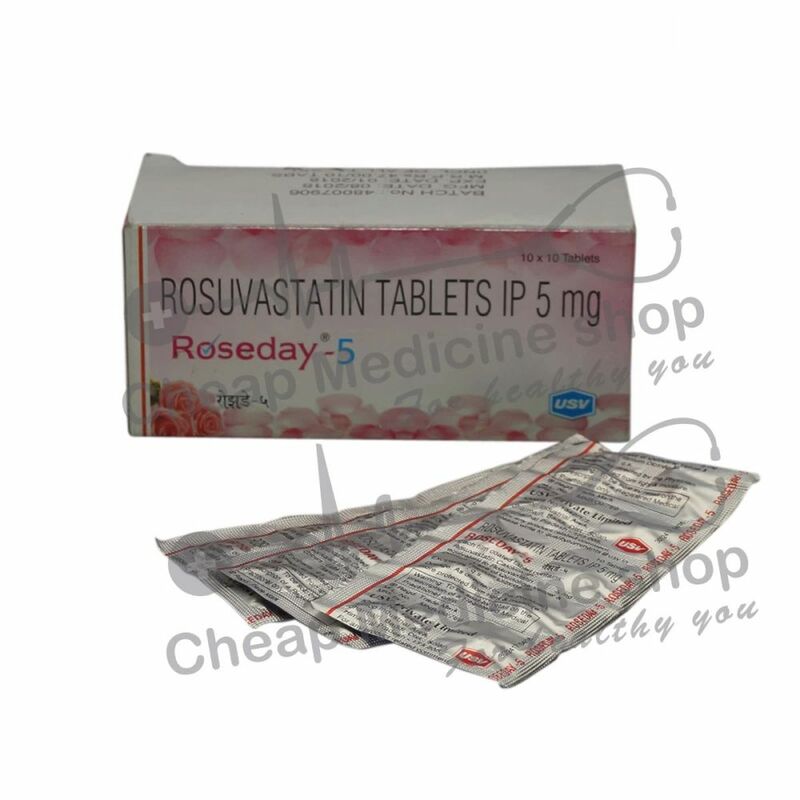 Roseday-5 contains 5 mg of Rosuvastatin. Roseday-5 must be taken orally once a day at any time. It can be taken with a glass of water with or without food. Intake of this drug must have a gap of at least 12 hours in between. This drug works well when strict restrictions on the diet are taken care of. Diet rich in saturated fats and cholesterol must be avoided. It can be taken with or without food and can be taken with a glass of water. The second dose can be taken after twelve hours of administration of first dose. Maximum recommended dosage is 10 mg daily. Diabetes mellitus- Doctor has to monitor your blood sugar while you are taking this medicine. How Long Should I Continue Taking Roseday-5? You are advised to take Roseday-5 each day on a long-term basis as directed by the Physician. If you stop taking this medicine then the cholesterol synthesis will start again and the level of cholesterol will rise. Take the advice of your doctor before taking the medicine as its doses vary from patient to patient. Don’t take more than the prescribed dose. If you have taken more than the prescribed dose, do consult your doctor immediately. Missed Dose Of Roseday 5? When Not To Take Roseday-5? Nursing mothers as it can cause serious adverse effects in nursing infants. Roseday-5 is used to treat high cholesterol levels and thereby decreasing the chances of heart attacks, angina and stroke. This medicine must be taken in combination with diet, exercise and weight loss regime. It has to be administered under consultation of Medical practitioner.